That’s how I ended my final thoughts on Series 9 in 2015. Series 10 was most likely going to be quite different given that the Twelfth Doctor had lost Clara and was getting a new companion, with presumably fresh new storylines to go with it. After seeing the first trailer that revealed Bill, I wasn’t sure how likeable she was going to be; but as with any series of Doctor Who, I tuned in with optimism. 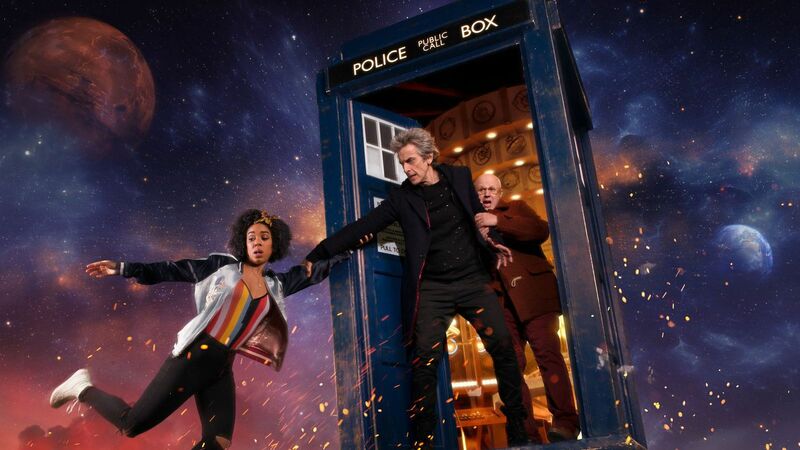 Many fans felt that their hopes for Series 10 were met; some even called it the best series of Doctor Who so far. But I didn’t agree; in my eyes, while the series wasn’t a total disaster, it was well below average, and I grew less and less enthusiastic about it as the weeks went by. This was Steven Moffat’s final season as showrunner: was he running out of steam, having gotten tired of Doctor Who? I don’t think so, especially considering the positive reactions of other fans. Aside from Moffat repeatedly re-using concepts from previous stories (e.g. The Lodger for The Pilot, The Girl in the Fireplace for Smile, Asylum of the Daleks for The Doctor Falls), the signs of effort were there. Some of the isolated standard adventures – Thin Ice, Knock Knock, The Eaters of Light – were very enjoyable. But elsewhere, Moffat made some poor creative decisions and relied too much on the tropes regularly associated with his work. Earlier this year, in Series 4 of Sherlock, we were given overly convoluted and ridiculous stories like Sherlock going up against the long-lost psychopathic sister whom he had repressed all memory of, and fake-outs like a scene where Moriarty appears to have returned from the dead, only for it to be revealed after about a minute that it’s a flashback. Doctor Who Series 10 had some of the same problems. Moffat continued to use fake-outs heavily. Oh, Missy has been executed – wait, no, she hasn’t. Oh, Bill is dead – wait, no, she isn’t. (Twice.) Oh, the Doctor is regenerating in the snow – wait, no, he doesn’t. Once you’re expecting something to be a fake-out, all suspense and shock is lost. The meta jokes were also over-used way too much, until the characters speaking aloud what more cynical fans often think completely lost its charm. As for the writing, when Moffat gets it right, he provides something really clever and impressive, like in The Pyramid at the End of the World. But as well as getting bogged down in his own cleverness in Extremis this season, the central story arcs didn’t work very well. The guarding of the vault wasn’t especially interesting – particularly as so many people guessed who or what was inside – and it made the Doctor look like an irresponsible fool for willingly neglecting that responsibility. It was also hard to take Missy’s apparent redemption arc seriously; the Master has such a long history as a villain that it was practically impossible to believe s/he could ever truly turn good. Admittedly, this did have a good conclusion where after skirting the boundary of good and bad, Missy did decide to stand with the Doctor, only to be killed by her past self before she could let him know. Meanwhile, the reveal of the Mondasian Cybermen and John Simm’s Master would have been brilliant in the finale if we hadn’t already known they were coming. I also didn’t like the Twelfth Doctor as much as in the two previous series. Peter Capaldi’s acting is as fine as ever – he gets some excellent monologues, as per usual – and he still plays the old hero, trying his best to save people where he can while still being realistic about their chances. But he was placed in situations and driven to make decisions which, while true to his character, made him look foolish: from vowing to guard the vault and then ceasing to bother, ignoring the warnings that he himself had given Nardole; to being rendered blind and then lying about it to Bill; to being over-indulgent with Missy, who has a centuries-long history of mass murder, eventually letting her run free without any apparent kind of security just in case she is in fact deceiving him. * We don’t even find out their name in the first episode where they’re introduced, despite them running the plot of the episode. * They put considerable time and effort into building complex simulations to determine how to take over the Earth, which seems like a huge waste of time if they have the necessary information anyway. * Their plan involves getting humans to willingly hand over their freedom, and they choose to endear themselves to humanity by looking like walking corpses. * They succeed in taking over the world and then apparently do nothing with that power besides standing around menacingly. * When their control over humanity breaks, they immediately run away and play no part in the rest of the season. Finally, not the least of the season’s problems were Bill and Nardole. Looking back over the series, my overwhelming feeling towards Bill is apathy. This has nothing to do with Pearl Mackie, who did an excellent job with what she was given and was able to handle the more emotional scenes commendably. As a character, the main things which stood out about Bill were that she was gobby and self-aware, questioning everything around her. The first quality was not used in an especially funny or endearing way, while the second was amusing at first but got old quickly. Bill was also the first openly gay companion, but that didn’t really affect anything beyond her love interest in The Pilot. Besides that, she was a nice enough person, but she didn’t have anything else that made her stand out as likeable (like Donna’s comedic moments) or interesting (like the progression of Clara’s character across two-and-a-half seasons, culminating in her becoming an equivalent of the Doctor). Thanks to her having a couple of vaguely negative traits and no outstanding positive ones, I simply didn’t care about Bill very much, not even when she got turned into a Cyberman. I did like the progression that took place early on in her relationship with the Doctor, and the bittersweet conclusion that her story was brought to, but I’m not heartbroken to see her go. Unlike Pearl Mackie, I do have a little bias against Matt Lucas, since I absolutely hated Little Britain. Yet I thought he was actually pretty funny as Nardole in The Husbands of River Song – but not so funny that I was clamouring to see the character again after that episode, and I’m not aware that anybody else was either. Yet, in The Return of Doctor Mysterio, there he was. Making this relatively minor character into a recurring companion seemed like a very random decision, but as Nardole remained present for the duration of Series 10, I found myself wondering how drunk Steven Moffat was on the day that he made that choice. It wasn’t that Nardole was actively annoying for the most part – he even had some cooler moments every now and then. He just really did not need to be there; he contributed very little that was meaningful. The show did try to give him a purpose by linking him into the main story arc with the vault and having him keep reminding the Doctor of his oath, not that it mattered since the Doctor never listened to him. But that was basically all he was there for: he – or an equivalent character – could have just stuck around the vault full-time, only making brief appearances at the beginning and end of each episode. However, he was both mobile and intelligent enough to want to come on adventures in the TARDIS too; yet he hardly ever did anything on those occasions. In Empress of Mars, the show itself acknowledged Nardole’s superfluousness by having the TARDIS carry him out of the adventure, dematerialising for no reason; it didn’t even turn out to be a clever plot by Missy to get herself out of the vault. Like Bill, I did not find Nardole a good enough character to get invested in. And if he had to be there, the show should either have had him staying in the background, or playing an active role in adventures, rather than just twiddling his thumbs unless the Doctor needed an extra person to talk to. Best episode: Funny – usually in a two-part finale, it’s the second episode that’s a letdown. But this time, it was the setup in World Enough and Time that had problems, and the payoff in The Doctor Falls that really delivered, with its use of the Cybermen and the two Masters, as well as the conclusion of Bill’s journey. It also made me feel more emotional than any of the other episodes in the series, making it an easy choice for the best one. Worst episode: Even though I gave World Enough and Time the lowest rating (and I may have been overly harsh), many of the things I didn’t like about it were in context with the rest of the series, like the meta jokes. Had the story taken place in another series with another companion, I would probably have liked it better. Extremis, on the other hand, is a bad episode all by itself. It had confusing switching between times and places, twists that didn’t feel connected, and a story that wandered round in circles for too long. Like my least favourite episode of Series 8, Listen, it was a good example of what happens when Steven Moffat tries to be too clever. Here’s my mean average episode ranking for Series 10, including the last Christmas special. There it is at the bottom, with a very slightly higher standard deviation than Series 2. Quite a disappointment after how good Series 9 was. The final episode did alleviate many of my negative feelings, and the Christmas special looks like it’ll be a good one; but after all this, I’m definitely ready to see a new showrunner. What direction will Chris Chibnall take the show in? We shall see. This entry was posted in TV Reviews and tagged Doctor Who, Pearl Mackie, Peter Capaldi, Steven Moffat, Twelfth Doctor. Bookmark the permalink. I have a very different opinion of some of this season’s episodes (I’d put Knock Knock near the bottom and Extremis and World Enough and Time at the top), but this was a very thoughtful appraisal. On the whole I enjoyed this series, but I agree it was slightly disappointing – the Monk trilogy in particular was just a waste of three episodes (as good as I thought Extremis was). I think it’s a middling series for me – it’s got its highs and its lows, it’s just that its lows have been uncharacteristically low for a Moffat series. I think it’s good at least that it finished on a high note, The Doctor Falls being one of the better finales of the revival.